Location: Bourbon l'Archambault, in the Allier departement of France (Auvergne Region). 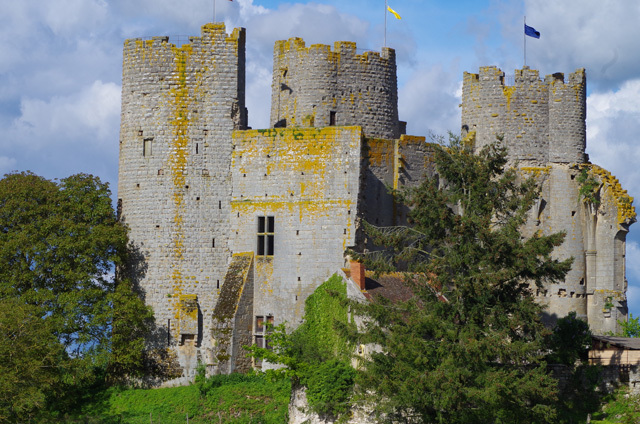 Notes: Bourbon-l'Archambault Castle is an ancient castle of the tenth century, rebuilt several times, the remains stand in the town of Bourbon l'Archambault in the Allier and the Auvergne region. The lordship then duchy of Bourbon gave its name to the province of Bourbonnais, which is pretty much the current Allier and southeast of Cher. The castle is the subject of a classification as a historic monument by the list of historical monuments 1862.